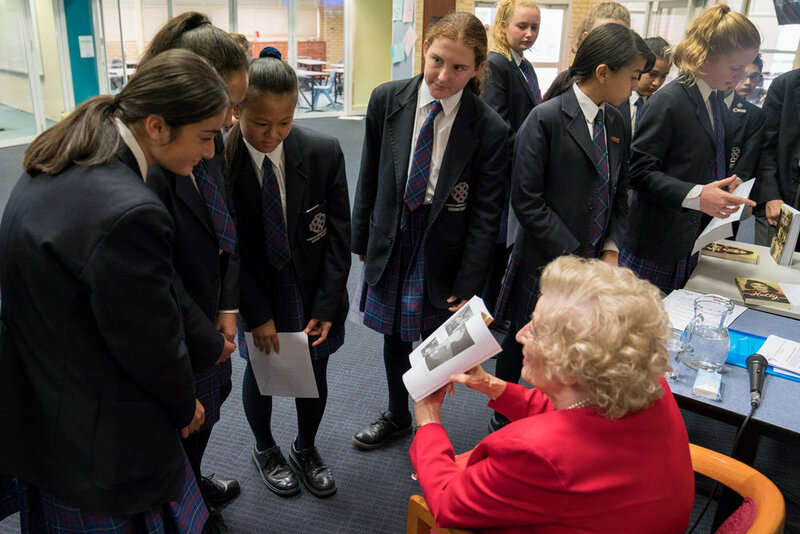 On Wednesday the 16th of May Corpus Christi College Year 8 students had the opportunity to meet Hetty Verolme, a Holocaust survivor of the Bergen Belsen Concentration Camp. 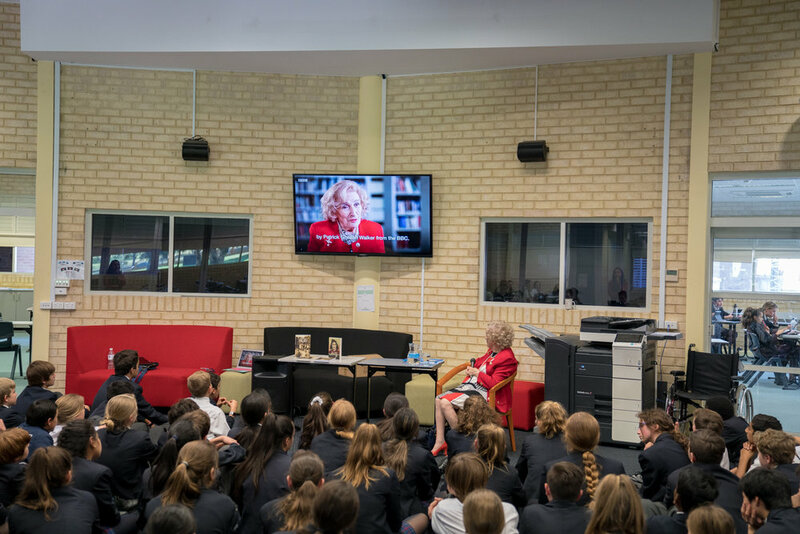 Students had the privilege of listening to Mrs Verolme’s firsthand account of her extraordinary struggle and survival. 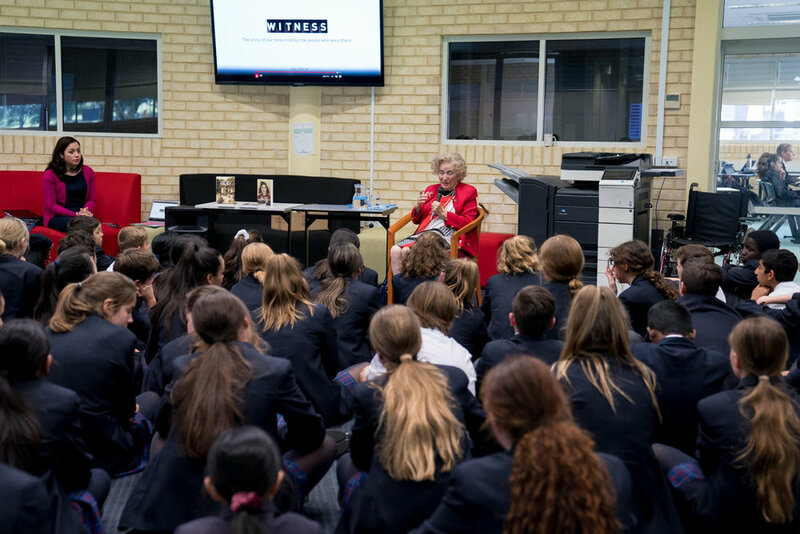 She shared with the students how her family was torn apart following the 1940 German Invasion of the Netherlands: rounded up by the Nazis, her and her two brothers were separated from their parents and sent to the ‘Children’s House’ in Belsen Concentration Camp. As one of the eldest, Hetty became the ‘Little Mother’, helping to care not only for her younger siblings but another 39 children as well. “Our beds had to be perfectly straight, no wrinkles or bubbles, or our rations were confiscated; 70 years later I can still make my bed straight.” Hetty reminisced over the vivid memories that are still with her today. She recounted the events that took place at Normandy in 1944, which led to/brought about their eventual salvation. Amazingly she eventually was once again reunited with her family – they had made it. But of course, many others had not been so fortunate. “Forgive but never forget” are words that will forever ring true for Hetty and other Holocaust survivors.